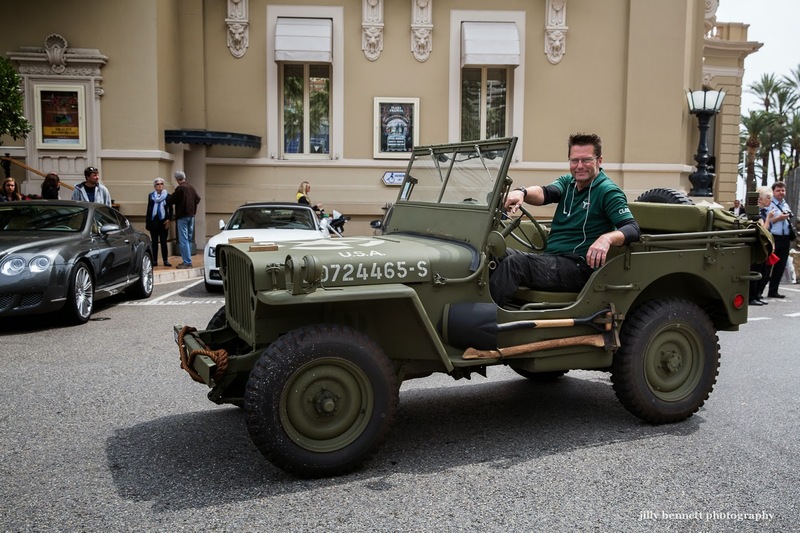 You don't really expect to see an American jeep driving past the casino in Monte Carlo, do you? I assume it's an American jeep? There's a shovel and an axe fixed to the side. Is the guy a gardener in the Principality? Perhaps he's a rich American who likes driving around in a jeep. He's got a sort of longish crew-cut. A mystery. Nevertheless he was more than happy to have his photo taken and I was more than happy to take it. Thankyou nice smiling man! A Willy's Jeep. it gets it's name from GP, meaning 'general purpose.